A Competent Person is somebody that has both the knowledge to recognize a hazard and the authority to correct it. Consider the following example: You may be the most knowledgeable excavator on the planet. You may have 25 years of experience under your belt and a degree in soil mechanics, but if you need to pick up a phone to ask somebody to come instruct the backhoe operator to fix the slope of his trench, you are not a Competent Person. The converse is true as well: you could be the owner of the company strolling through the site with everybody quaking in fear at your feet, ready to heed your every command, but if you can’t tell that the parallel fracturing at the top edges of your excavation indicate that a collapse is imminent, you are not a Competent Person. What Industries Require Competent Person Training? Now, I’ve used excavations as an example for a reason. 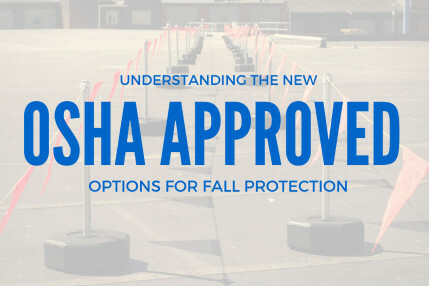 While the phrase Competent Person is seen in many aspects of the OSHA regulations, there are three sections of the regulations that seem to necessitate the creation of Competent Person classes: Scaffolding, Fall Protection, and Excavations. Subpart X (Ladders and Stairways) calls for the use of a Competent Person, but you never see a Ladder Competent Person class. 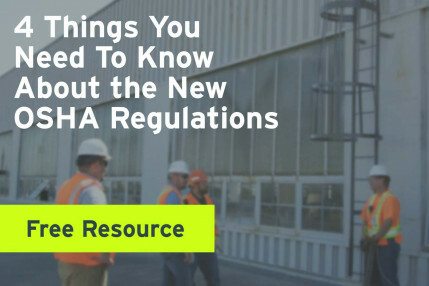 Maybe this is because most people don’t really know what is in the regulations or, maybe this is because companies figure everybody already knows how to use a ladder (they’re wrong), but whatever the reason, Scaffolding, Fall Protection and Excavations are the big three. 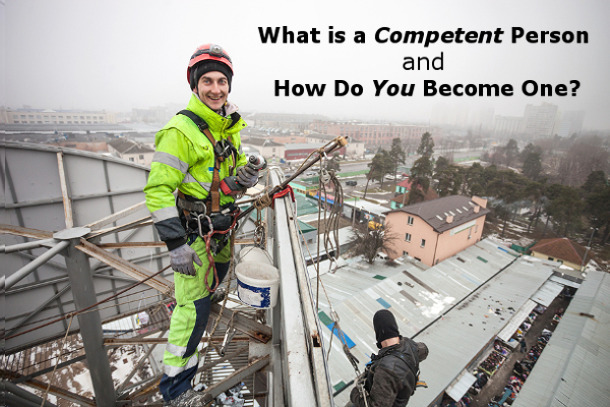 How Do You Become a Competent Person? So, you sign up for one of these classes, take it, and pass the test. They hand you a nice fancy card. Congratulations! You’re now a Competent Person! The fact of the matter is that there is only one entity that can deem you a Competent Person: your employer. No 3rd party training company or consultant can deem you a Competent Person because they can, in no way, grant you the authority necessary to stop work and correct hazards. Sure, maybe you now have the necessary knowledge to be a Competent Person, but you don’t have the authority. Now, perhaps your employer signed you up for the class in order to deem you the Competent Person, therefore giving you the necessary authority. That’s fine, but how do they know you absorbed any information? How do they know you can take the information you learned and use it in a practical manner? 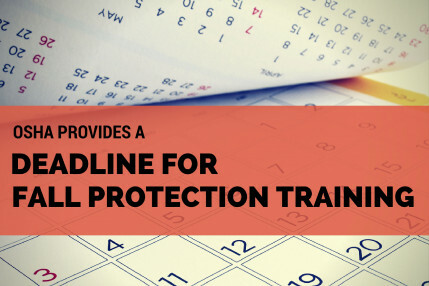 Not only is it in the best interest of the employer from a liability standpoint to evaluate their Competent Person’s abilities, but it’s necessary. They should be aware of what the class covered and know how their employee did on the test. They should observe him or her in the field to see if they can demonstrate the ability to recognize a hazard. And, if they are not satisfied, they should immediately take the title away, because even if they are afraid to say an employee isn’t capable of being a Competent Person, OSHA won’t be. That’s right. OSHA will ask who your Competent Person is. They’ll do this for two reasons: 1) to see if your other employees know who it is and 2) to evaluate their knowledge and level of authority. If the employee is found lacking during this evaluation, they may cite you as if you did not have a Competent Person (because, in their eyes, you don’t). As an employer it is important that you select the right person for this role and that they understand the responsibilities that come with it. It is important that you make it known to the workforce who your Competent Person is (remember, as long as they are qualified, a single person can be the Competent Person for various aspects of your job). It is important that this title is not thrown around haphazardly thinking you are in compliance just because you designated somebody your Competent Person. “Competent Person” classes are not a bad thing. Most are designed to present a higher level of education than your standard classes and often do contain the necessary information to qualify somebody for this title. However, information in a PowerPoint is one thing – what an employee took away from the class may be a whole different thing. Send your employees to “Competent Person” classes, but ask the training company for test results and any other pertinent course records. Establish an observation or trial period in which the new Competent Person’s abilities are evaluated. And, once you’ve given this person the authority, make it known, so that the other employees listen to what he or she has instructed them to do and so they know who to turn to with a question. Remember, people’s lives and well-being hang in the balance. It seems like we’ve been talking about the “upcoming” and “recently passed” Walking/Working Surfaces rule for a long time and many people may remember that contained within the rule were some delayed effective dates.